Four years later and AKA's 'Levels' album is still a top seller! AKA is celebrating a huge music milestone. His second album, 'Levels', has just been certified double platinum. The rapper took to Instagram to share the exciting news. "Proud to announce that #LEVELS is now DOUBLE PLATINUM CERTIFIED ... CONGRATULATIONS ON A TIMELESS CLASSIC and thank you to the MEGACY," he wrote. The album, which produced hits such as 'Congratulate' and 'Run Jozi', continues to be a hit with fans despite being released in June 2014. AKA revealed in a separate post that he will be working with Vth Season again. The rapper famously parted ways with the record label last year - several months after tweeting that “nobody wants to deal with Raphael Benza", who is the company's owner. The move, though surprising, makes sense as it comes just a week after he announced that he will be shutting down his Beam Group company, which released his latest album, 'Touch My Blood'. "Proud to announce a new PARTNERSHIP between myself, @SonyMusicAfrica & @vthseason. This is a long-term GLOBAL deal that will take my music to new heights and new places for MANY albums to come! Cheers to the FUTURE!!!" he announced on Instagram. 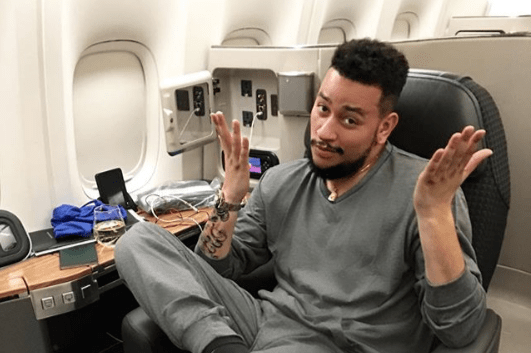 AKA has more good news to celebrate. His latest single, 'Fela in Versace', is currently at number one on the Coca-Cola Top 40. Carol Ofori and Ricky take you through 40 of the planet’s hottest songs in our weekly chart show, the Coca-Cola Top 40, on Saturdays from 10am to 2pm. WTF on East Coast Drive: "I want my girlfriend to abort because I'm not ready for a baby"